IncomeBooster.org is a great resource of make money online news and guides on how to earn cash at home. Here I published reviews of various sites and it seems to me that I won’t run out of new work at home opportunities to review. Recently I published a guide about making money with guest blogging and after this my readers started suggesting new websites for a review, as well as gave me ideas for new articles. Today I would like to review a website, which is looking for both guest bloggers and regular article writers and can receive traffic and earning benefits. SmashingMagazine.com is probably the best resource for finding quality material about blogging, web development, design and technology. 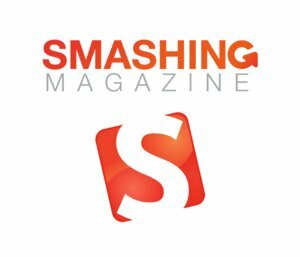 Smashing Magazine has millions of visitors per day and the owners of this website would like to get more quality articles for their readers. If you specialize in CSS, programming languages, web design/development, e-commerce, freebies, copywriting or other closely-knit topics (visit Smashing Magazine for the full list of topics) and would like to contribute your content to this website you will be able to enjoy such benefits: gain greater popularity in blogosphere, get visits you your website and receive money for every article published. SmashingMagazine.com offers to ways of earning money: 1) you can become a writer/contributor; 2) review submitted articles and receive money on pay-per-review basis. In order to become an author on this blog you have to contact the administrators and provide several samples of your work. 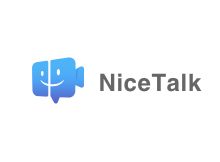 After approval you will be able to start writing articles on your favorite topics and receive cash for every approved content piece. All members get paid for published articles but rates depend on the article and its quality. Speaking of reviewer positions on SmashingMagazine.com – here you have to fill out an application to get a chance to review submitted articles and get paid to pay per review basis. SmashingMagazine.com is a solid company and there are hundreds of users, who get paid to write with them. If you would like to learn more about other ways to make money by writing articles, please visit specified category on IncomeBooster.org. In my future articles I will go on reviewing sites giving money for writing articles. If this type of content interests you, please subscribe to my make money online blog, leave comments and like us on FaceBook. Thanks for your time and patience. Good luck in earning money online with SmashingMagazine.com.